a few weeks ago, we went on a triple date brunch date. (me + josh, my two co-workers, & the chi city vegan baby + their baby. lol.) since they are logan square residents, we decided to venture over there to a restaurant i've been wanting to try since way back when i went to boiler room. 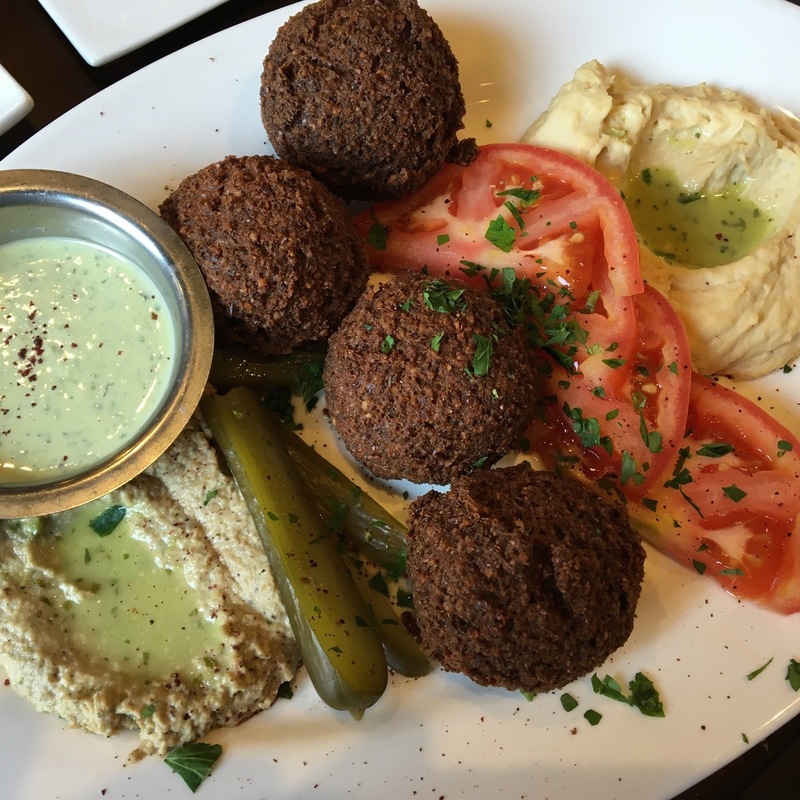 it's their next-door neighbor, masada : "chicago's newest & best middle eastern dining experience, masada is a sit-down restaurant offering an elegant & eclectic dining experience." leggo! grape leaves stuffed with seasoned rice served with lemon sauce. not even joking, best dolma in the city. so legit. i usually don't like warm dolma ... but these were perfect. must have. could eat everyday. hummus, baba ghannouj, falafel, sliced tomatoes & pickles. baba ghannouj & hummus = spot on. falafel = huge & too much to eat at brunch. when one thinks of brunch, one doesn't generally think of mediterranean food. but masada can definitely change that ... they also have what appear to be awesome brunch cocktails & sangria, but i did not partake. either way, two (optional boozy) brunch thumbs up. update : le pain quotidien.